INCREDIBLE SPACE: This dome tent accommodates up to 5 people with an immense 70 sq. ft. a rectangular floor that will provide you with more than enough room! 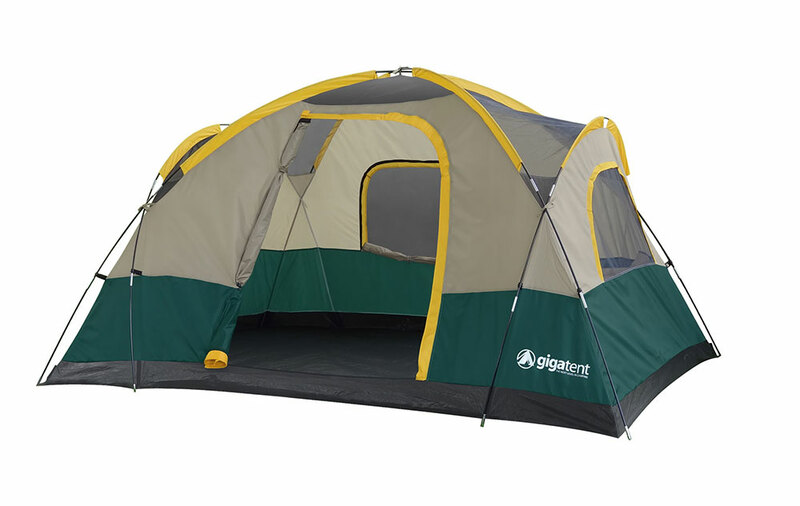 At its center, the tent stands 63″ tall! BUILT FOR THE OUTDOORS: Waterproof flooring, ultra-violet resistant materials, shock-corded fiberglass poles all provide enhanced strength and durability in even the toughest terrain and weather! 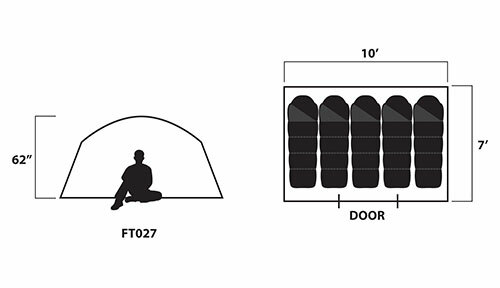 QUICK & SIMPLE SETUP: The classic dome style tent design that any avid camper or outdoor rookie will have no trouble assembling – it includes two extra poles for added stability for your abode. MOSQUITO MESH WINDOWS: Get a good night’s sleep with fresh air and no bugs. Two large vents on the ceiling and four windows with fabric netting and rain flies ensure air flow even when it rains. 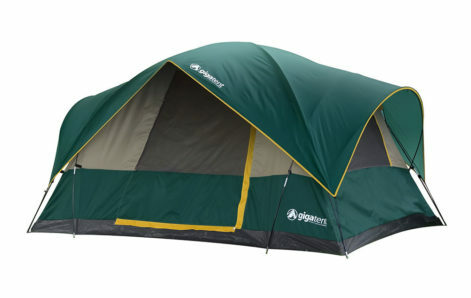 LIGHTWEIGHT & EASY TO CARRY: The tent comes with a carrying duffel bag with a large opening for easy packing. It weighs only 12.10 lbs and packs down to 12x7x7″. Sidewall pockets store small items. For the fiercest of adventurers who love nothing more than basking in the freshest of airs only attainable in the greatest mountain trails of the Pacific Northwest, GigaTent is here to give you the best vacation imaginable. Known for its unique combination of dry and moist weather conditions that can surprise even the most alert of campers, Mt. Adams is definitely a destination fit for highly active travelers from around the world and our dome style tent is the perfect home you can bring along on the ride. Choose this dome as your temporary home! Our classic style tent is supremely easy to assemble with standard fiberglass poles and durable polyester body. It includes two extra poles for added stability so you can relax with reliability. It’s ingeniously designed to withstand all sorts of weather conditions and terrain just like those of Mt. Adams. Mosquito netted mesh windows ensure that you get a comfortable night’s rest under any conditions. 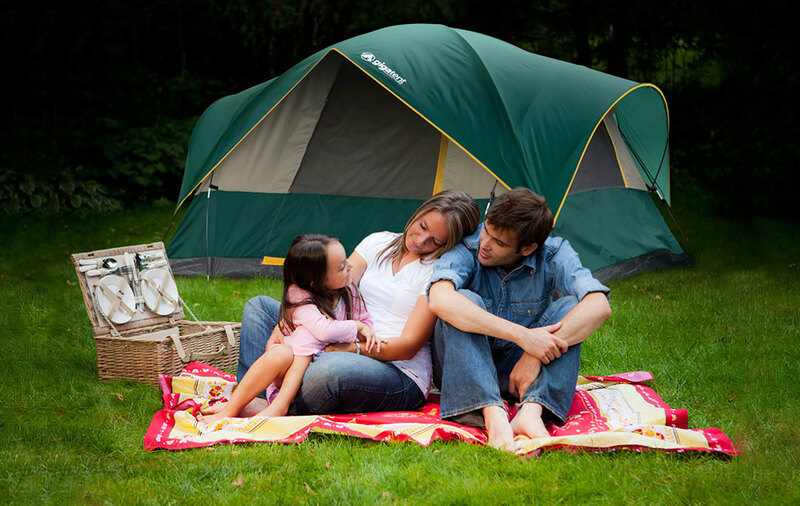 Get the ideal mountainous airflow without worrying about insects invading your space with our tent. Made for 3 seasons that’s perfect for any outdoor lover! GigaTent ensures quality in all of our products. The perfect outdoors experience starts with high-quality equipment that beats the rest. With us, you’re guaranteed nothing short of complete satisfaction and you will be out there doing your favorite activities with ease and comfort. Choose GigaTent and get out there! 10' 0" x 7' 0"